Thanks to the steady hands of the very talented development team behind Final Fantasy XIV, we already had a pretty good idea of what the Final Fantasy XIV 4.1 patch would entail. 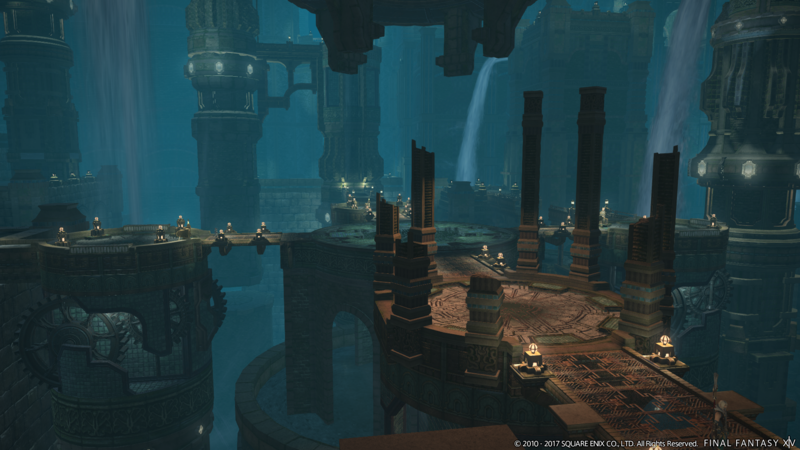 But now we have more solid information, and screenshots — including a first look at Rabanstre from the Final Fantasy XII inspired Return to Ivalice raid. 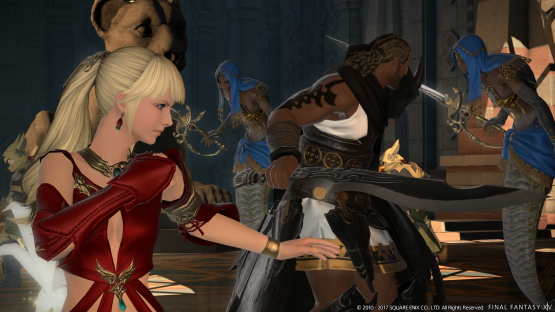 Final Fantasy XIV 4.1: Stormblood — The Legend Returns expands on the new foundations laid by 4.0, the game’s most recent expansion, Stormblood. 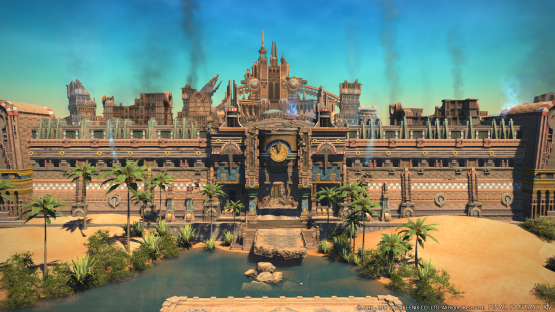 A new dungeon, new equipment, new residential district, new main quest scenarios, and excitingly a brand new raid that’s a throwback to Final Fantasy XII, Return to Ivalice. 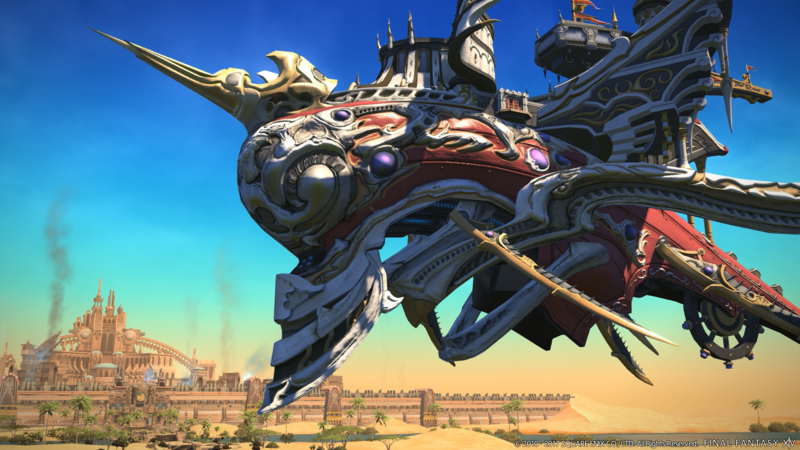 This exciting raid is a throwback to Final Fantasy XII‘s Ivalice, though the setting has also played home to Final Fantasy Tactics and Vagrant Story in the past. The gorgeous screenshots showcase the city of Rabanastre , the capital of the Dalmasca region in XII, so the raid will likely just focus on that area. This morning, residents of Kugane woke to find above their city an airship unlike any ever seen. 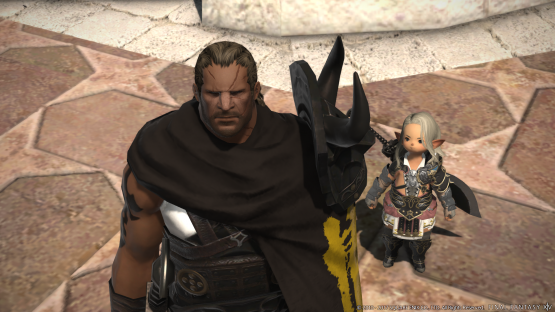 Yet while of Garlean design, the vessel distinctly lacked the bleak outfitting common in the Empire’s warmachina. 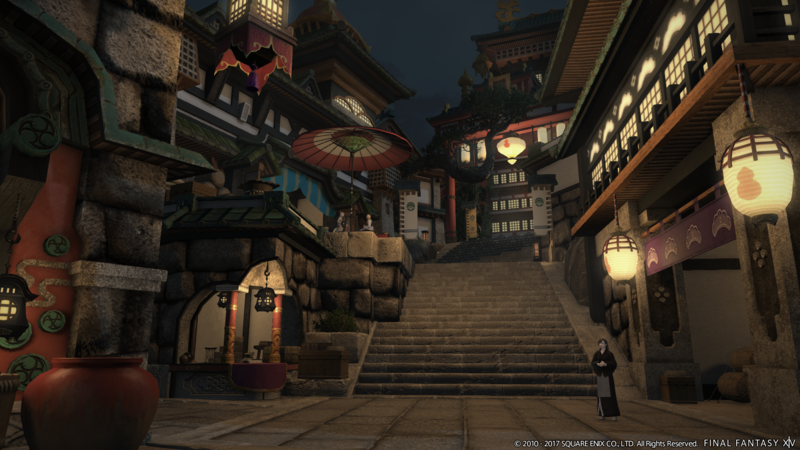 No, this was the Prima Vista, private stage for the Majestic Imperial Theater Company─a troupe having won acclaim across Garlemald for their timeless work, “The Zodiac Brave Story.” Which begets the question…why are they here? The answer to that question and more lies in the selfsame legend of which they sing. The legend of Ivalice. Return to Ivalice has even been worked on by Ivalice creator, Yasumi Matsuno himself, alongside Keita Amemiya (Moon Over Tao, Zeram). As you probably know by now Final Fantasy XIV is never going to end. 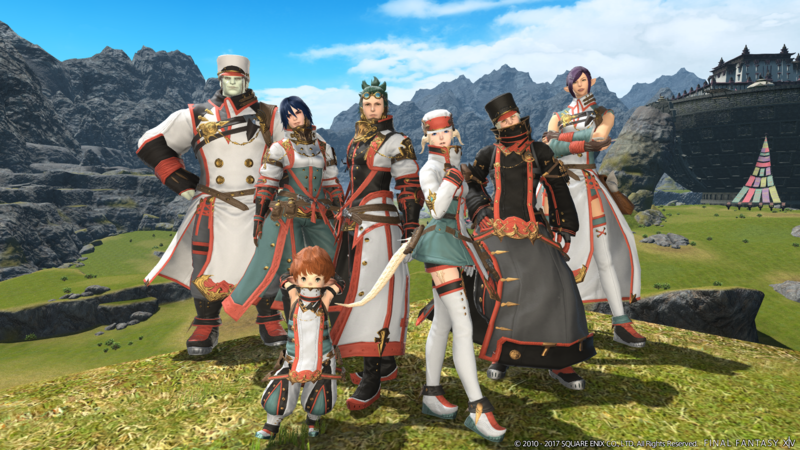 Yoshi-P and his fantastic team are going to endless pump us full of content, the main story continuing forever. When I die, I am going to be uploaded into the game just like that one episode of Black Mirror. 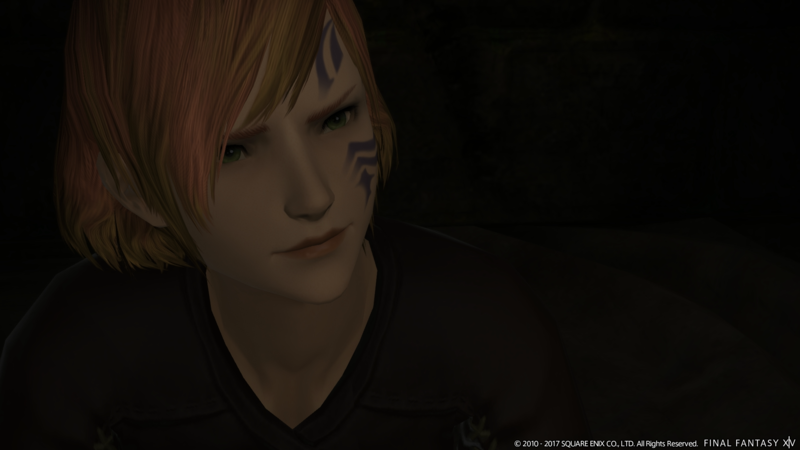 4.1 adds, of course, some more main scenario quests. 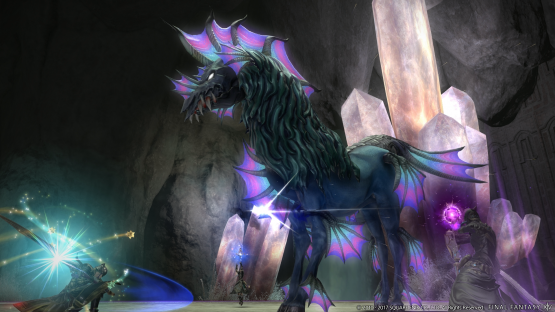 The liberation of Ala Mhigo signals the end of an era of tyranny. Here, on the cusp of a new age of freedom, her people must decide how they will greet their future…and reconcile with their past. 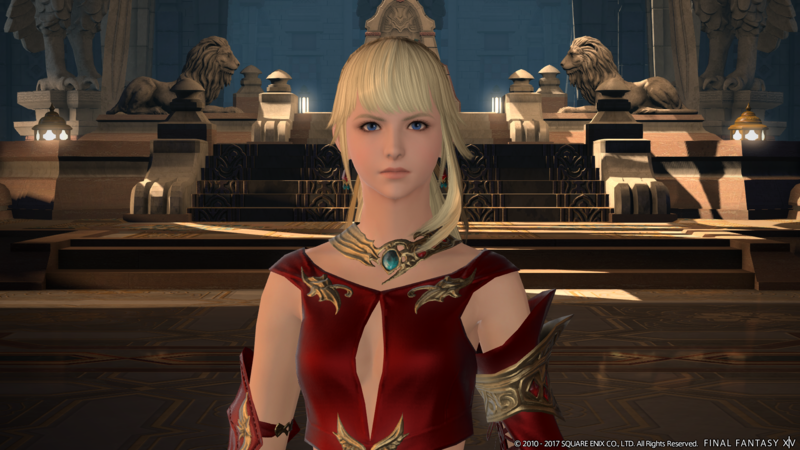 What path lies ahead for Lyse and her efforts to rebuild the nation? What choices plague Fordola from within her prison cell? 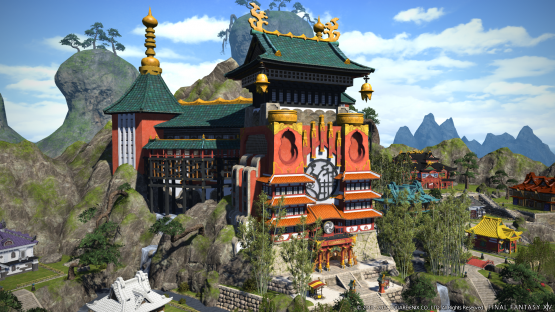 And to where will Raubahn return, now that the dream for his homeland has at last become a reality? 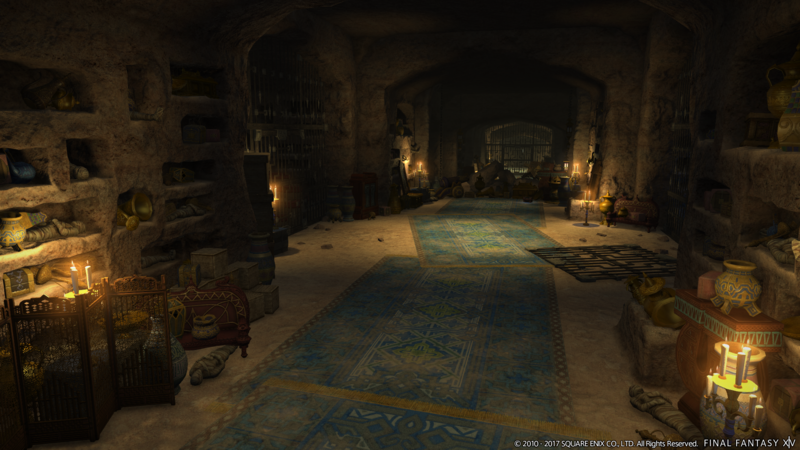 Salty water everywhere, dust covered rugs, cracked decorations, and glowing crystals. No, this isn’t that recurring nightmare I have about myself weeping after knocking my nan’s healing crystal collection all over her new living room carpet. It’s a brand new Final Fantasy XIV dungeon: The Drowned City of Skalla. I think I’ve been there before, near Tintagel in Cornwall. Very good fudge in the gift shop. Long ago, in the dawn of the Fifth Astral Era, the modest nation of Skalla was founded in the land of Gyr Abania. 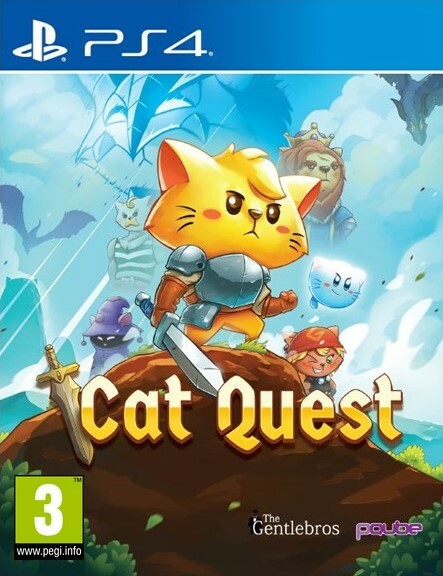 Over the span of several centuries, its people constructed a grand city of stone at the bottom of a steep-walled ravine, but even this natural defense could not protect Skalla from destruction during a terrible age of war. When the great flood of the Sixth Umbral Calamity later swept across the realm, the hollow ruins of the city were lost to sight, its remnants submerged beneath a raging sea. 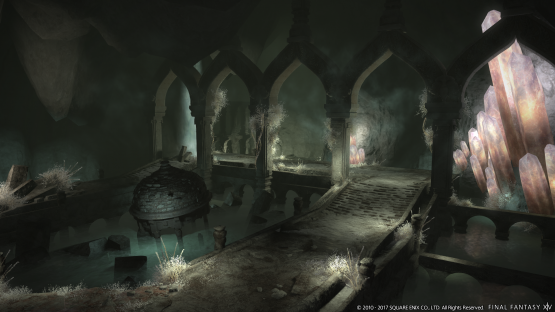 Haunting the depths of what is now Loch Seld, Skalla’s silent walls lure adventurers into the salt-laden waters with the promise of mysteries unsolved and treasures unclaimed. 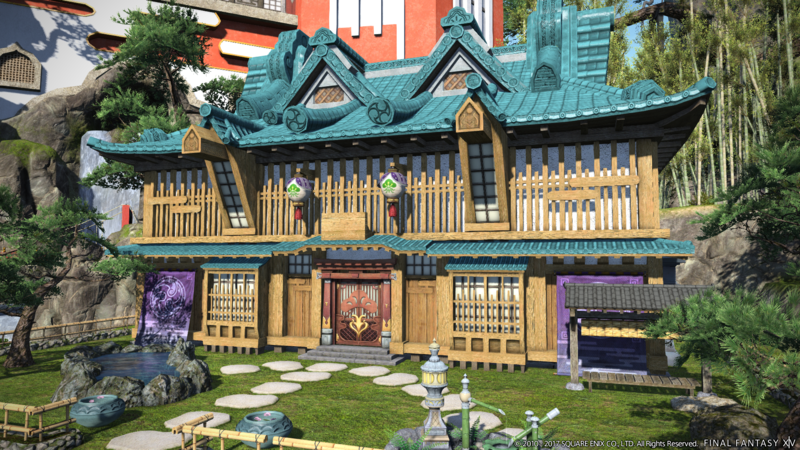 Ah, player owned housing in MMOs. With the terrible global economy, owning my own house in real life is pretty much off the cards. 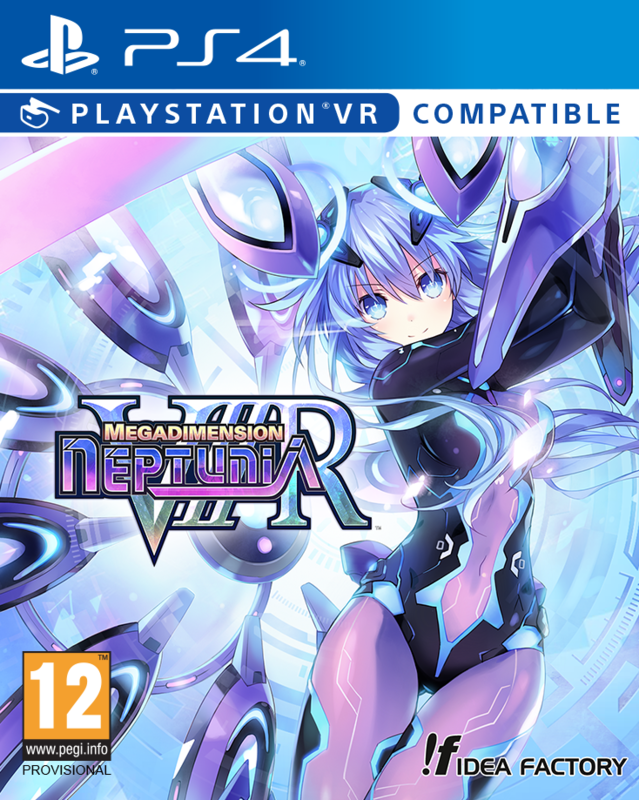 But at least I can own one in the VIRTUAL REALM. 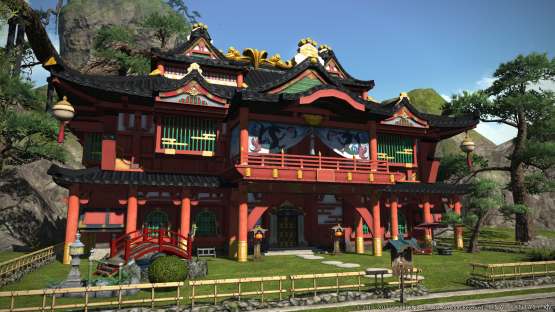 Unfortunately, even in the brand new Shirogane district, I can’t digitise my dakimakura collection and store them in my electronic house. Just going to have to keep hiding them inside the bread bin when my landlord comes over to “inspect the property”. At long last, plots in picturesque Shirogane will go on sale. Set to the backdrop of the exotic Far East, the area offers a lifestyle experience like no other. 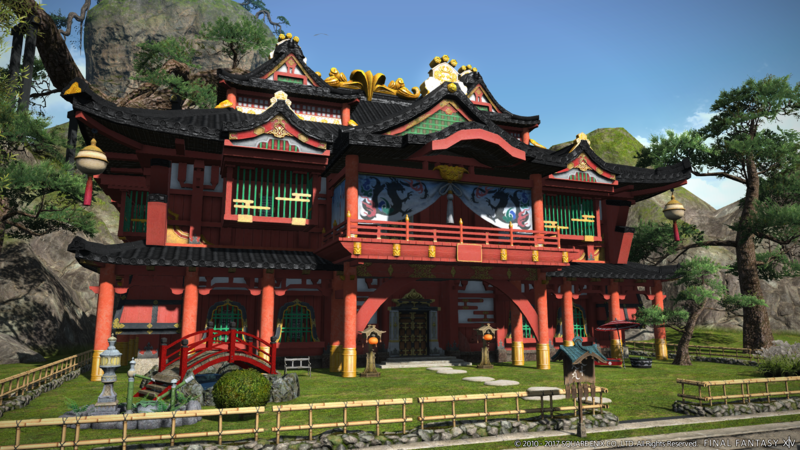 Won’t you carve yourself a slice of Hingan paradise? Love your estate hall, but yearn for a change of scenery? 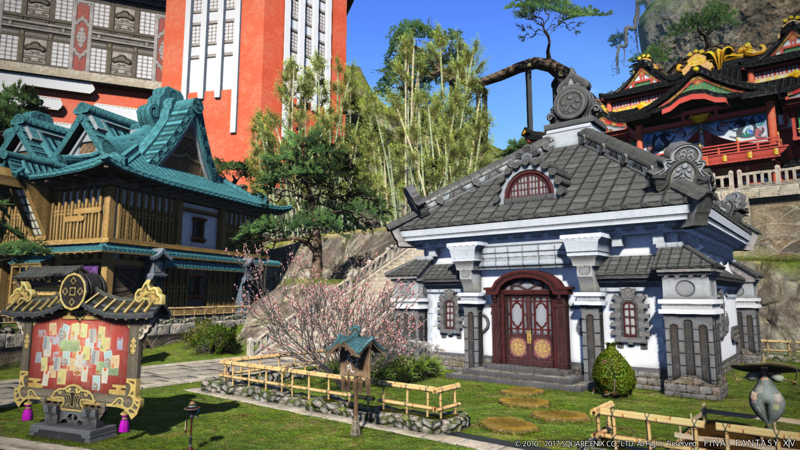 Yearn no more, for 4.1 will introduce the relocation function, which allows you to move your individually or free company-owned building to a new plot. Storage will be added to all forms of housing, allowing residents to stow their furnishings. Whether you wish to declutter or relocate, it will doubtless prove to be a boon. How about all that, then? Some big updates are coming in Final Fantasy XIV 4.1! 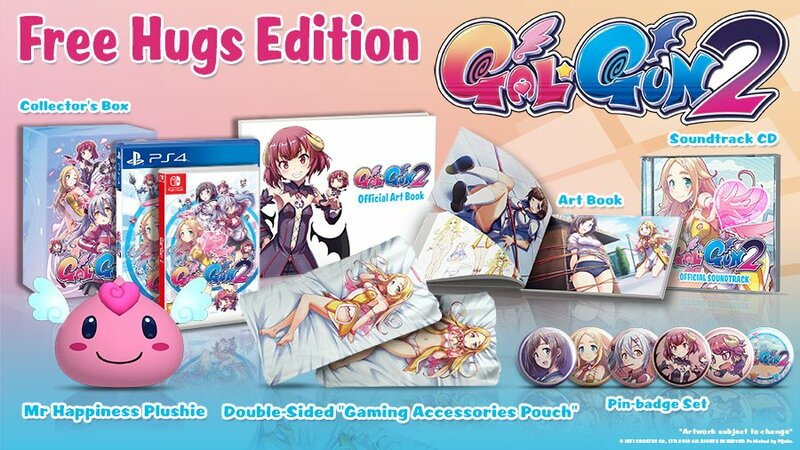 It’ll be dropping into the game “early October” for PC and PlayStation 4.